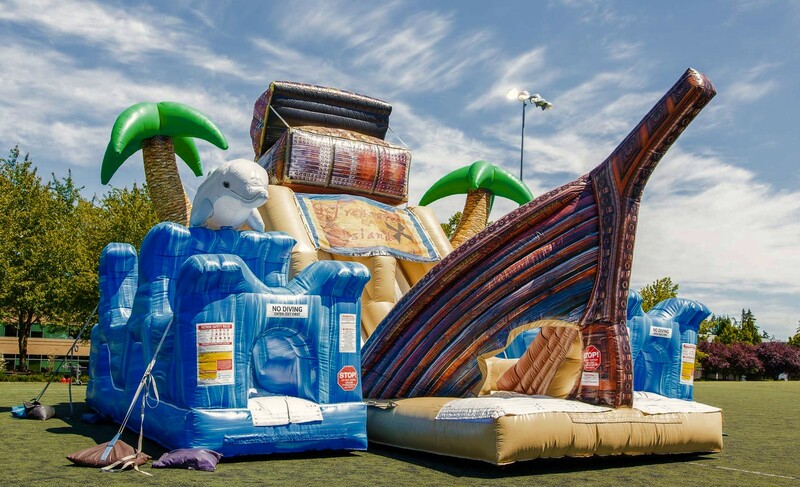 Treasure Island is our newest inflatable obstacle course. Enjoy playing under the sea with sea turtles, dolphins, and other creatures on this great inflatable attraction. This attraction is great for adults or children.